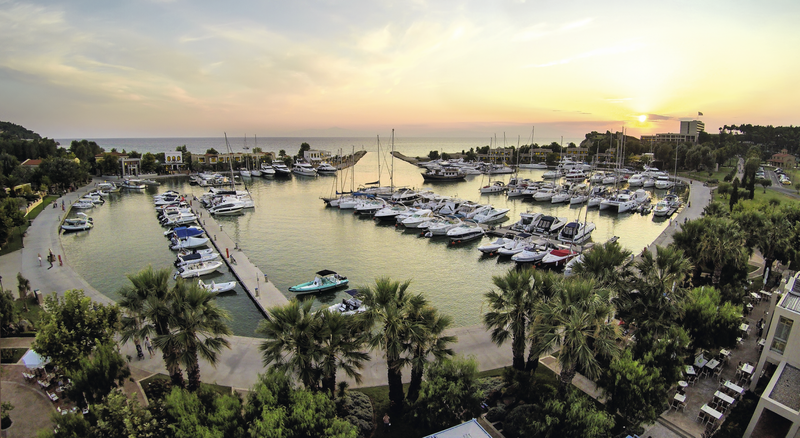 A luxurious haven for your yacht on the magnificent Kassandra Peninsula, the vibrant Sani Marina is one of the best secrets of the Aegean. Promising all the facilities and services demanded of a first-class harbour, this beautiful setting offers an exciting, cosmopolitan environment, as well as being an ideal gateway to the many islands of the Aegean and beyond. When you sail into Sani Marina, you are entering a pleasurable world that is guaranteed to satisfy the finest of tastes and complement the most international of lifestyles. The spectacular Piazza lends the Marina an even greater level of sophistication with its stunning array of chic boutiques offering an exclusive selection of top international brands and sophisticated dining and nightlife.